Your roof is your home’s first line of defense against the elements. It is designed to remain sturdy and stand up tall to driving rain, high winds, and snow fall. But, over years of wear and tear, roofing problems are almost inevitable. Here are 5 of the most common problems that plague failing roofing systems. Roof leaks – Leaky roofs are perhaps the most common roof problem of them all. Broken shingles, cracked flashing, improper seals, and clogged gutters and all cause roof leaks. And, when water leaks into your home, it can lead to rotted wood and even mold growth. Ponding or pooling water – Standing water on your roof caused by improper sloping or a failure in the roofing system can cause debris and moisture to build up on your roof. This can lead to shingle damage and subsequent leaks. Pest infestation – Squirrels, birds, and other critters that build nests on your roof or in your gutters can lead to roofing problems. Nests and critters can do more damage than many people realize, which is why it’s something to keep an eye on. Poor ventilation – The lifespan of your roof can be linked directly to how well your attic is ventilated. When a roof isn’t ventilated properly, heat and moisture in your attic have nowhere to escape. This can cause moisture to build up in your attic, which can lead to the slow deterioration of your walls, insulation, and shingles. Improper maintenance – If you don’t maintain your roof, it can lead to problems that may require repairs or an entire replacement. It will likely be beneficial to remove any debris, keep your gutters free of clogs, and address standing water to ensure the longevity of your roof. If you are experiencing any of these roofing problems – or others like them – there is no need to worry. You can confidently turn to the roofing experts at Bordner. Since 1987, we have repaired and replaced the roofs of countless satisfied homeowners in the Greater Kansas City, MO, area. 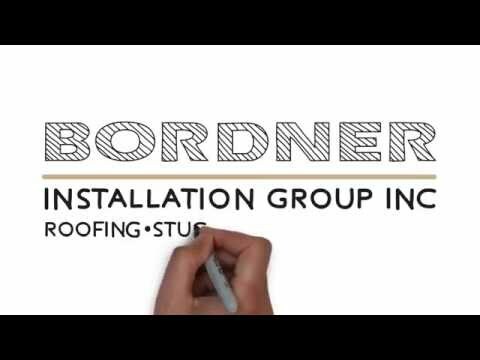 For more information about our roof repair and replacement services, contact Bordner today.